ALL BILLS INCLUSIVE INCLUDING INTERNET AND A CLEANER! This is a must see four bedroom property. The property has been fully decorated and furnished throughout to an exceptional standard. 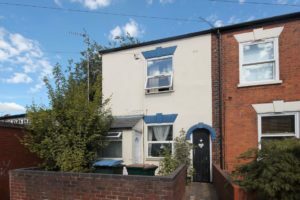 The property is in the highly popular area of Earlsdon and is only a few minutes walk to the direct bus routes for Warwick University and the City Centre. The area offers all necessary amenities such as Post Office, Banks, Restaurants, Shops, Pubs, Doctors, Dentists, Pharmacy etc. 1st Floor: Carpeted throughout - 3 x Double Bedrooms consisting new Beds and high end Oak furniture (chest drawers, Desk, Bedsides, Wardrobes), fitted blinds. Other - - The property has Gas Central Heating throughout and is serviced by a NEST thermostatic control system. - High speed Broadband - Low Maintenance South /west facing Garden - Ideal for the Summer Sun.